What could have been a better gift to India than Smart Village from the Indian American community this Independence Day? 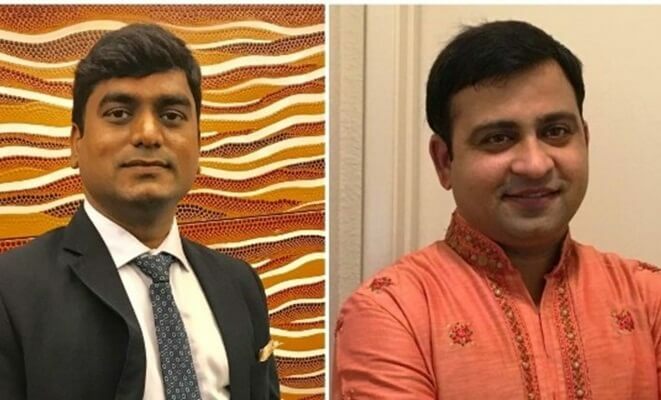 Indian American IT professional Rajnish Bajpai and his techie friend Yogesh Sahu from Mumbai have built a high-end app for India to interconnect remote villages and connect them with the rest of the world. Prime Minister Narendra Modi, in his Mann Ki Baat radio show, lauded their SmartGaon App and its objective to facilitate digital empowerment of rural India on socio-economic fronts. Taudhakpur in Uttar Pradesh is the first Indian smart village that the developers of SmartGaon App – Yogesh Sahu and Rajnish Bajpai – have brought into existence by empowering the farmers, landowners, small-scale businesses, folk artistes, craftsmen and other poor villagers with mobile Internet. Today, Taudhakpur in Uttar Pradesh is an exemplary model of smart village for the rest of India. Though roads are being laid out across thousands of miles connecting villages with urban India, most villagers do still lag behind and lead a rambling life owing to lack of street lights and Wi-Fi, poor healthcare facilities, limited power supply, and inadequate access to public address systems and education. SmartGaon App is a new ray of hope for the villages which have not yet seen the daylight of urban civilization. The idea of SmartGaon App was seeded for a digital revolution in rural India when PM Modi invited Indian IT professionals in the United States to be a brain gain for India, during his speech at San Jose SAP Center in 2015. It urged Indian American Rajnish Bajpai to improve the socio-economic landscape of villages in India. He collaborated with his friend Yogesh Sahu, an entrepreneur from Mumbai and the CEO of M-Intellect Global Pvt. Ltd for a pilot project on digital transformation of rural India. Today, Taudhakpur in Uttar Pradesh is India’s first smart village equipped with a Wi-Fi zone, CCTV cameras, street lights, access to healthcare services, adequate power supply, efficient public address systems and other facilities. All thanks to SmartGaon App, a brainchild of Rajnish Bajpai and Yogesh Sahu. Six more villages have been identified to be developed on the lines of Taudhakpur. SmartGaon App is a one-stop information center for villagers and an e-marketplace for farmers. Available in English and Hindi, the app empowers the village folks with absolute knowledge of the government schemes, e-governance facilities, subsidies for farmers, and other benefits in a secure environment. The key features of SmartGaon App include news and events calendar to help villagers check upcoming activities related to their professions or occupations. The best of SmartGaon App features is Gram Mart, a virtual marketplace for farmers to follow the fair trade practices and deal in their produces at the right prices, without intervention of any middle man. The app for smart villages in India also provides details of nearby health and information centers. Farmers can save their crops from being wasted and reduce shortage of food grains in the market, by sharing their concerns and seeking solutions in the app’s inbuilt group. Indian American Rajnish Bajpai and Yogesh Sahu’s SmartGaon App helps poor villagers know what they are entitled to as per their rights and citizenship. It also monitors the initiatives and tracks their impact on the lives of villagers as well as the economy of rural India.